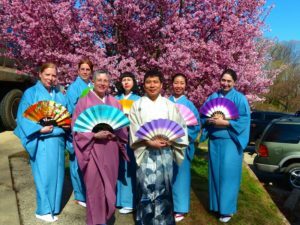 Subaru Cherry Blossom Festival welcomes Yoshi Amao to Sakura Sunday! Since 1990, Yoshi Amao has been an ever-present feature of the United States performing arts scene. 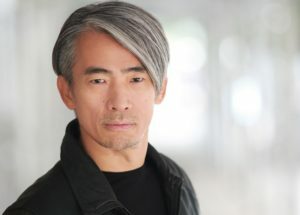 A SAG/AFTRA member, Amao’s impressive resume extends to cover his skills as a voice-over artist, emcee, and martial artist. In 2003, Yoshi Amao founded Samurai Sword Soul, a samurai martial arts performance group that performs on the east coast. An emcee for the National Cherry Blossom Festival in Washington, DC, and Brooklyn Botanical Gardens’ Sakura Matsuri in New York, we welcome Yoshi Amao back for his fourth year as an emcee for the Subaru Cherry Blossom Festival’s Matsuri Village and Little Akiba stages! The new kid on the block, Aikido of Greater Philadelphia is a non-competitive martial arts school specializing in joint locks, throws, and takedowns. 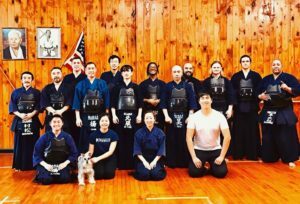 Created in 2017 by Sulaiman Hakeem, 4th Dan Shidoin, Aikido of Greater Philadelphia offers training opportunities at multiple locations for beginners and advanced students alike. Come see Aikido of Greater Philadelphia’s unique blend of quality, tradition and innovation at 12:15 PM! To learn more about Aikido of Greater Philadelphia, visit their website, check out their facebook page, and follow them on instagram @aikidoofgreaterphila. 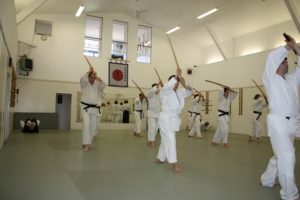 The Doshinkan Dojo, under the guidance of Yukio Utada, has hosted classes and seminars on the philosophies, principles, and execution of Yoshinkan aikido for decades. Since 1991, the Doshinkan Dojo has acted as headquarters for the Aikido Association of North America (AANA). The Doshinkan Dojo offers classes for beginner and advanced students alike, including classes for children. Check out Doshinkan Aikido’s demonstration, mixing the grace and athleticism inherent to this defensive style of martial arts, at 1:15 PM! To learn more about Doshinkan Aikido, visit their website and follow them on instagram @doshinkan_aikido. Cherry Hill Kenyu Kai is a part of the Cherry Hill Kendo & Iaido Club, based out of Cherry Hill, NJ. Interested parties can attend classes that teach kendo, a martial arts style incorporating traditional Japanese swordsmanship, in various locations around the Greater Philadelphia area from Cherry Hill, NJ to Spruce Hill, PA.
See Cherry Hill Kenyu Kai’s demonstration of traditional Japanese swordsmanship through the Kendo and Iaido styles at 2:00 PM! To learn more about the Cherry Hill Kendo & Iaido Club, visit their facebook page here. Formed in 2007, Biwanko is a non-profit organization based in Bergen County, New Jersey, which aims to pass on Japanese culture to successive generations through the musical tradition. 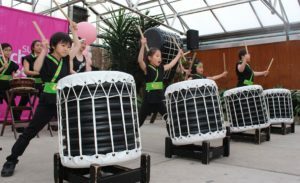 The organization hosts taiko performances and workshops within the community, offering lessons in taiko drumming and shinobue flute. Comprised of children aged 6-18, see Biwanko’s nationally recognized taiko troupe at 2:30 PM! Founded in 1961 by Miyoko Watanabe (stage name: Fujima Nishiki), IchiFuji-kai endeavors to teach the Soke Fujima style of Nihon Buyo, Japanese classic dance, in a manner accessible to everyone. To aid in the process, Fujima Nishiki developed ways for Western audiences to better understand this interpretive style. Shofuso provides space for IchiFuji-kai to offer classes on Nihon Buyo, taught by veteran instructor Helen Moss, in an authentic setting. Helen Moss (stage name: Fujima Nishiki-no) has taught the Soke Fujima style for nearly thirty years. The Japanese Association of Greater Philadelphia (JAGP) is a non-profit organization serving the Japanese community in the greater Philadelphia region since 1964. 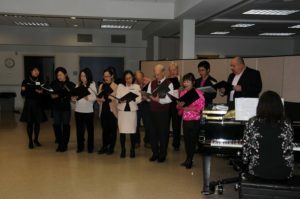 Aimed at promoting social services and connections for Japanese citizens residing in the Philadelphia area, the JAGP hosts a series of programs and activities. The JAGP’s Chorus Group, You n I, invites Philadelphia residents to experience their love of song. listen to You n I’s eclectic selection of traditional, contemporary, and foreign songs popular in Japan at 3:15 PM! To learn more about the Japanese Association of Greater Philadelphia, visit their website. More information about the JAGP Chorus Group can be found here.